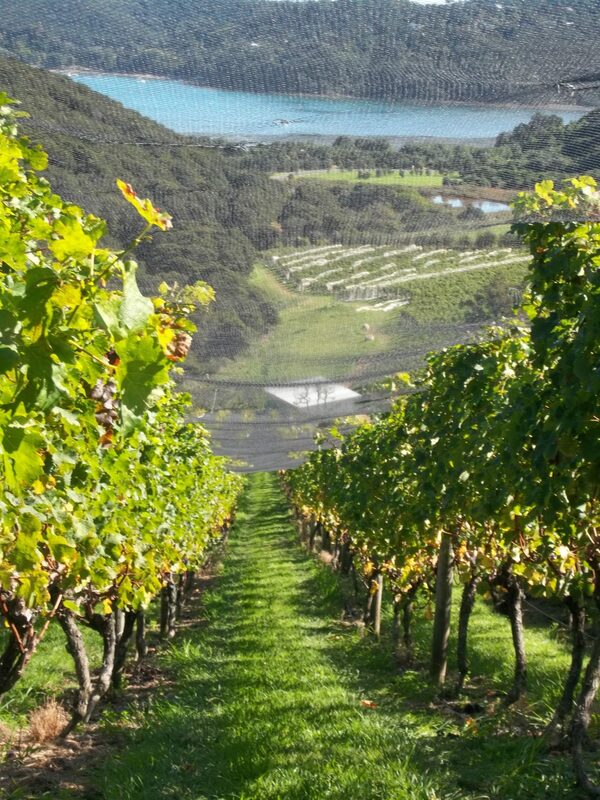 A short ferry ride from Auckland is the island of Waiheke, an island of 30 growers and 535 planted acres. The second winery on the island, beginning in 1981-82, is Stonyridge. With 6 hectares of vineyard planted to the five grapes of Bordeaux (Cabernet Sauvignon, Merlot, Cabernet Franc, Petit Verdot, Malbec) and organically farmed, Stonyridge is known as a world-renowned Cabernet-blend winegrower, thanks in part to the signature Stonyridge Larose. 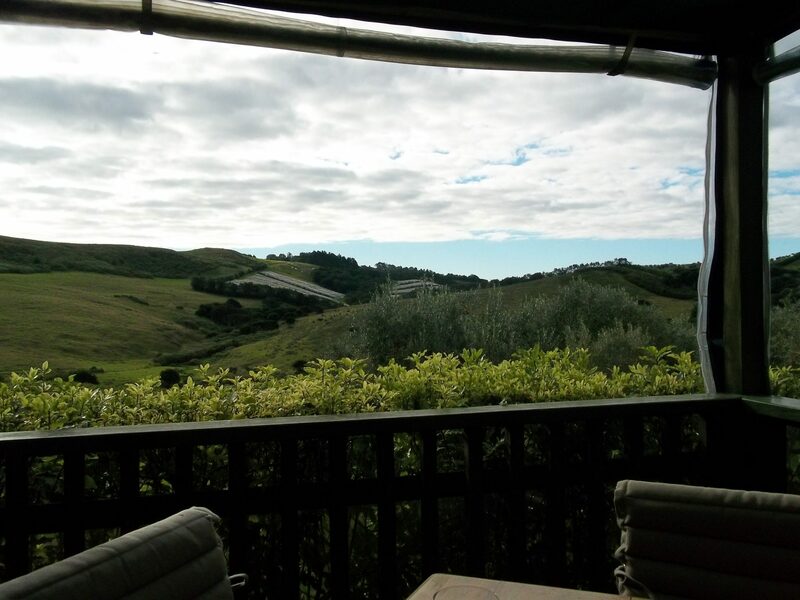 A 35 minute ferry ride from Auckland to Waiheke Island, we spent the morning at Destiny Bay, a small, single vineyard, family-owned winery that began in 2005. They specialize in estate grown and bottled blends of Cabernet Sauvignon, Merlot, Cabernet Franc, Malbec and Petit Verdot, producing fewer than 2,500 cases per year of their three distinct blends: Magna Praemia, Mystae and Destinae. We toured through the vineyards which are planted in a natural amphitheather. The beauty is beyond compare as the vines slope down toward the water. But, I was relieved that I didn’t have to help pick grapes that day. Destiny Bay is 100% hand harvested and with the steep slopes of the vineyard, that means that the pickers are walking up and down the hill carrying bins of grapes all day. It really is hard work!